Gaza City (Palestinian Territories) (AFP) - Two Palestinian teenagers were killed by Israeli fire on Friday during clashes along the Gaza border, the health ministry in the Hamas-run enclave said. 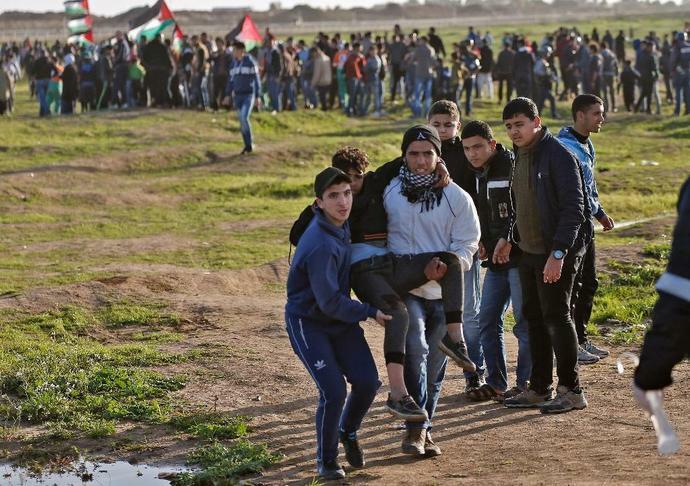 Hassan Shalabi, 14, was killed by "live fire to the chest east of Khan Yunis" during protests along the frontier with Israel in the southern Gaza Strip, the ministry said. "They are hurling rocks at (Israeli) troops and towards the security fence, as well as a number of explosive devices that did not cross the fence," a spokesman said, adding that they had heard grenade explosions. Palestinians in Gaza have for nearly a year gathered at least weekly along the border for often-violent protests, calling on Israel to end its blockade of the enclave. Israel says it is protecting its borders and accuses Hamas of orchestrating the protests. Protests have dwindled in recent months after an informal agreement between Israel and Hamas.